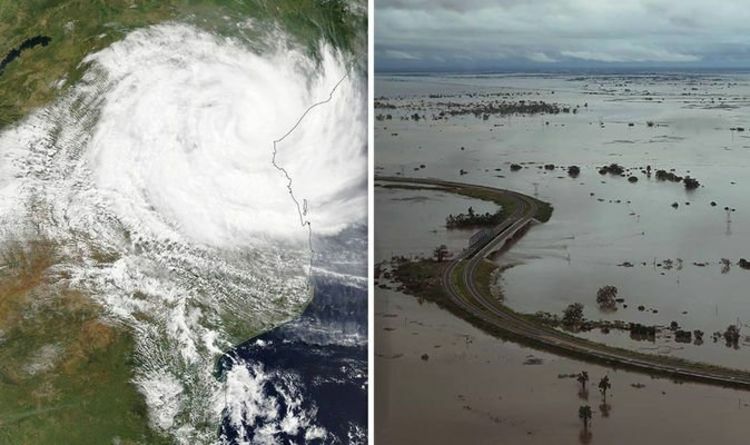 There have been 84 deaths confirmed as a result of Cyclone Idai so far in Mozambique, as the deadly storm wreaks havoc across Zimbabwe and Malawi. Vast areas of land have been flooded, communications disrupted and roads destroyed as the cyclone batters southern Africa. In Zimbabwe, 89 deaths have so far been confirmed according to officials, whilst the number of dead in Malawi stands at 56. The death toll soon could rise according to Mozambique’s President Filipe Nyusi, who said he had flown over the impacted region. Speaking to Radio Mocambique President Nyusi said he saw bodies floating int he water, villages had disappeared and two rivers had burst their banks. In Mozambique's fourth-largest city, Beira, a large dam had burst, further complicating rescue efforts. Beira is home to 500,000 people, and large areas of land were completely submerged. Across some streets, residents waded through knee-high water around piles of mangled metal and other debris. Rescuers have used dinghies in waters reaching chest height, in order to navigate through reeds and trees to rescue those sitting on branches to escape the water. Others have been trapped by the flooding, however, not all rescues have gone smoothly. Rescuers in Zimbabwe's Chimanimani district have been struggling to reach people, cut off from the rest of the country by torrential rains and winds of up to 105mph (170kmph). Roads, homes and bridges have been swept away, and power and communication lines destroyed. Zimbabwean information ministry official Nick Mangwana told Reuters the number of confirmed deaths throughout the country was now 89, and the body count is expected to rise. Many people had been sleeping in the mountains since Friday to escape the flooding after homes were flattened by rock falls and mudslides or washed away by torrential rains. Zimbabwe, a country of 15 million people, had already been suffering a severe drought that has wilted crops.